These Backyard Persimmon Cooking Logs are 12" inches long and split to just the right size. 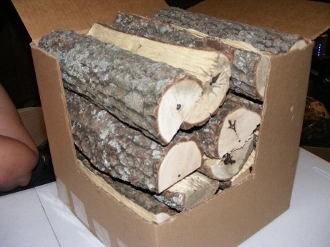 The logs work spectacular in large smoker/grill combos, along with similar grills. Packaged in a HUGE 12"x12"x18" box.